What do we mean by a “building enclosure”? Aren’t buildings enclosed by definition? In most circles, it’s generally agreed-upon that a building is a relatively permanent, enclosed structure with a roof and walls. And usually some sort of door (unless you’re planning on tunneling in). And sometimes even windows, etc. You know, a building. But that’s not the only definition for a building. In a very literal sense, a building can be anything that is built or constructed. And not everything that is built or constructed is necessarily enclosed. A roof-only building isn’t an enclosed building; rather, it’s an open-air structure with columns and a roof only. Why choose a roof-only structure? 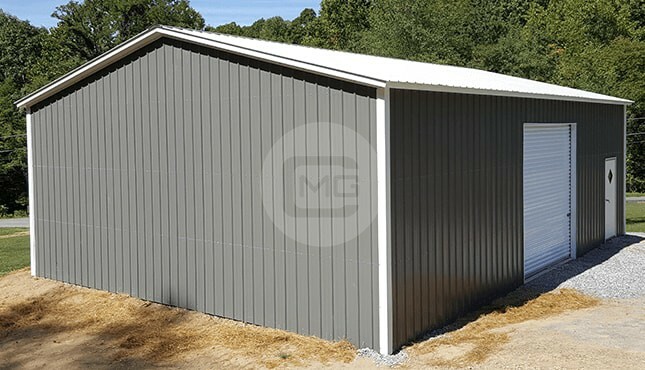 They allow for unobstructed entry to the shelter from all sides, and they work great for carports, hay storage, picnic shelters, covers for agricultural equipment, and any other kind of open cover needs. 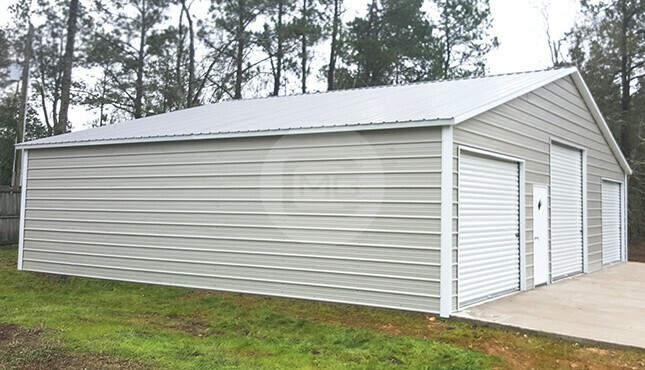 At Metal Garage Central, we have a wide variety of roof-only steel carports and buildings available, each of which is customizable according to your individual needs. 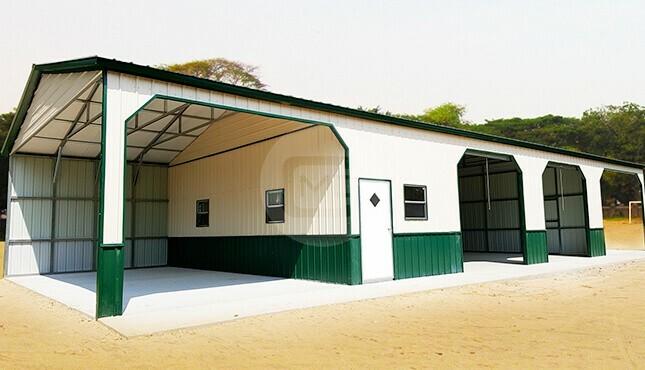 The enclosed carport is just that; it includes both a roof and four walls for added protection from the elements and added security for your peace of mind. 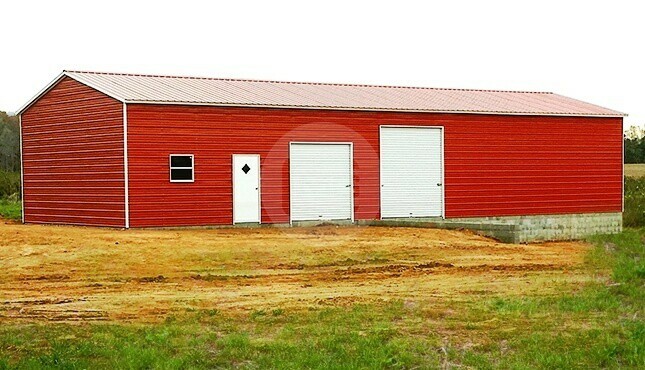 We have a wide assortment of enclosed steel structure options at Metal Garage Central. 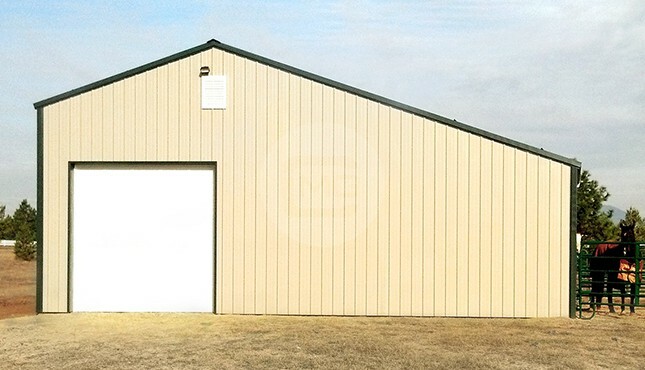 Whether you need a garage, workshop, warehouse, retail space, office space, commercial facility, manufacturing facility, or agricultural barn, we’ve got you covered. 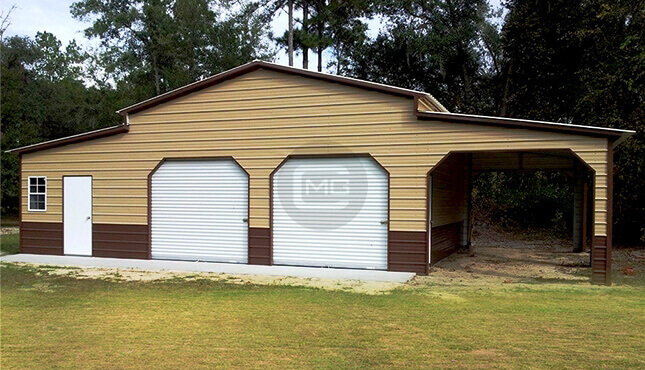 Side-entry buildings are designed for those who need to store more vehicles or equipment, but don’t have room for a larger carport or garage. 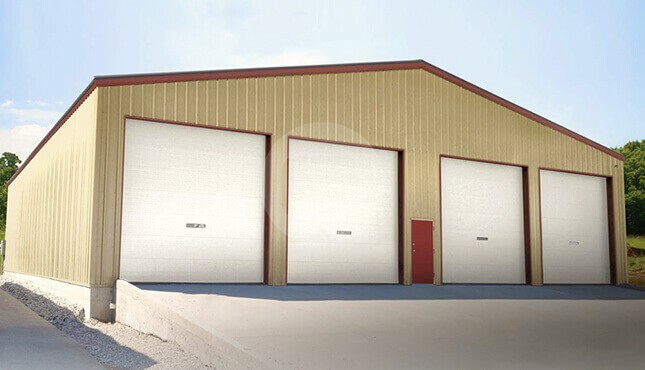 Like all of our steel structures, side-entry buildings come in different roof styles, with different customization options for openings, walls, garage doors, walk-in doors, windows, or whatever you desire. You can check out some of our featured side-entry building styles here. Perhaps you don’t need (or want) a fully-enclosed building, but you would like to add some enclosure for added protection from the elements. 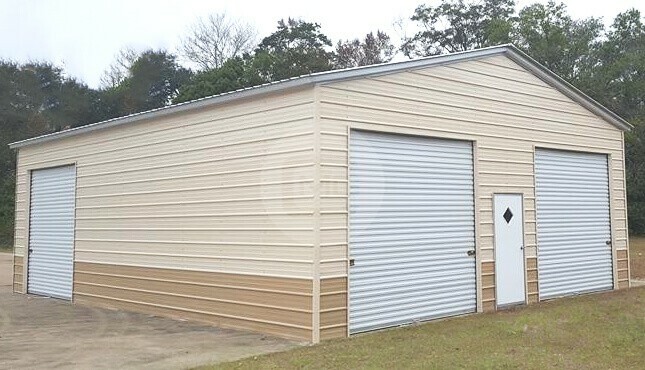 Partially-enclosed metal carports and buildings offer more substantial protection while still allowing for ample ventilation. A typical way to achieve this is to enclose two sides of the structure, while leaving two sides open. Some customers choose to add a third wall, and just leave one side open. 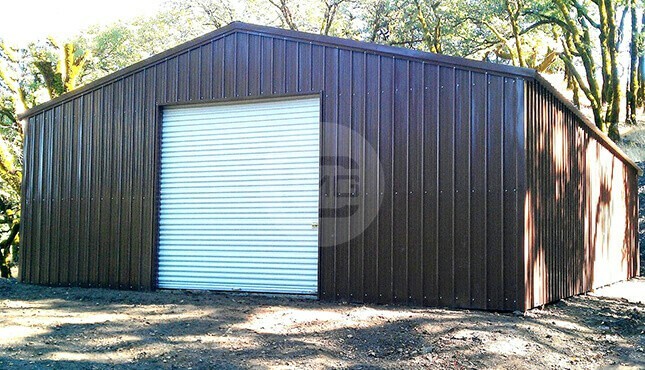 You can have your partially-enclosed building constructed pretty much any way you want – the sky is the limit when it comes to options for designing and customizing a partially-enclosed structure with Metal Garage Central. Our friendly, knowledgeable building specialists are here to help! We’re happy to walk you through the whole process, from design to ordering to production to installation. 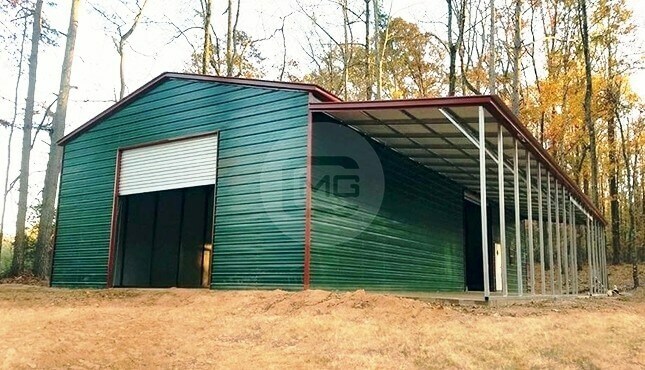 Check us out online at Metal Garage Central, or give us a call at (980) 321-9898 and let’s get started on designing the metal building of your dreams today!